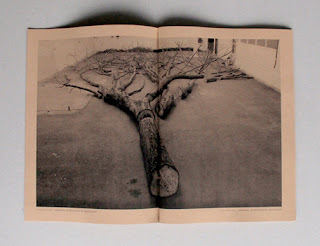 The publication illustrates the journey of the artists with one tree; from its cutting down in The Netherlands, through Austria and Iceland, in order to build objects with its wood that were later presented as 1:1 photographic prints. Throughout the process, each and every part of the tree was given a function. 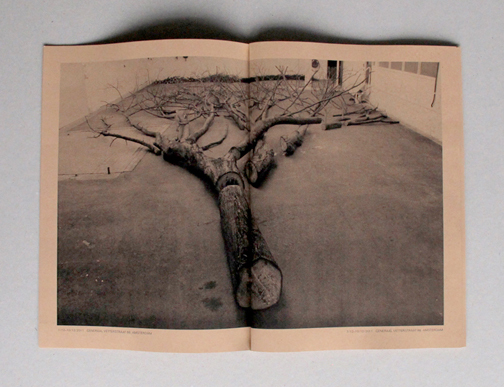 The images presented in this book are screenshots out of their documentation films. Published on occasion of the exhibition with the same title at gallery Amstel41, Amsterdam.